advocated by the Federal Government. The meeting comes after recent outbreak of violent attacks on communities in Benue by Fulani herdsmen. 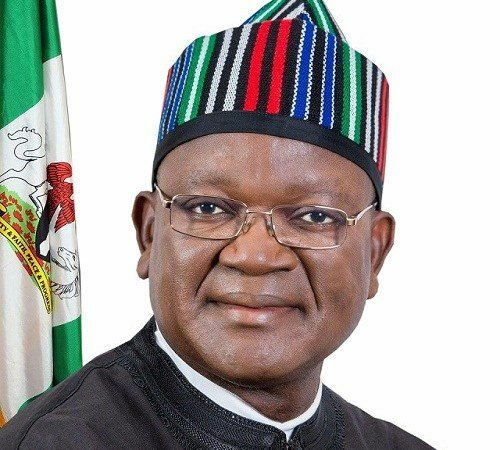 Ortom said this on Monday while while addressing state house correspondent after he and Benue leaders held a close-door meeting with President Muhammadu Buhari at the presidential villa. He also reveal that herdsmen have began occupying lands and issuing threats to owners of lands. “Like I told you the last time I came here, I did not understand what colonies meant. Today, I was privileged to meet Audu Ogbeh, who is a proud son of the state and he did explain to me that a colony is many ranches restricted to in one place”. “And until this time I speak to you, they are still issuing out threats and it is not just anti-grazing law, it is occupation because the manner with which they come and invade the man and take over the land it is something”.